A lot of Long term Guests, mostly old people (65+). Hotel Staff makes sunbed reservation for these guests. Very poor Breakfast, no change at all. For the high price one can expect much more! Rooms OK, LOCATION perfect. The hotel has only 18 room (I think) and all rooms has beach view which is great as it is a stunning beach. I think there are 12 Deluxe room assigned the number using star signs which I found quite unique. Next time I book, I will request the Pisces room! We got upgraded to Suites for 2 nights as it has accidentally been double booked and the room was gorgeous. When we moved to Deluxe, we didn't even feel like we've been downgraded at all as the room are still as comfortable and beautiful..maybe smaller but it is still larger than most hotels. The pool is beautiful but with such an amazing beach right there, we didn't even try the pool. There are cold drinks served to guests who are lounging around the beach and pool area and that is a nice touch. Not too much variety for breakfast choice but with 18 rooms, small amount of guest, can't expect it to be extravagant like other 100 room-hotels. Freshly cooked egg and french toast are great enough. Fruit juice tasted a bit funny on the second day though..maybe the way it is stored is not the best. There are also restaurants just outside to the road area so guests can always find something else they prefer. I will definitely go back there again! 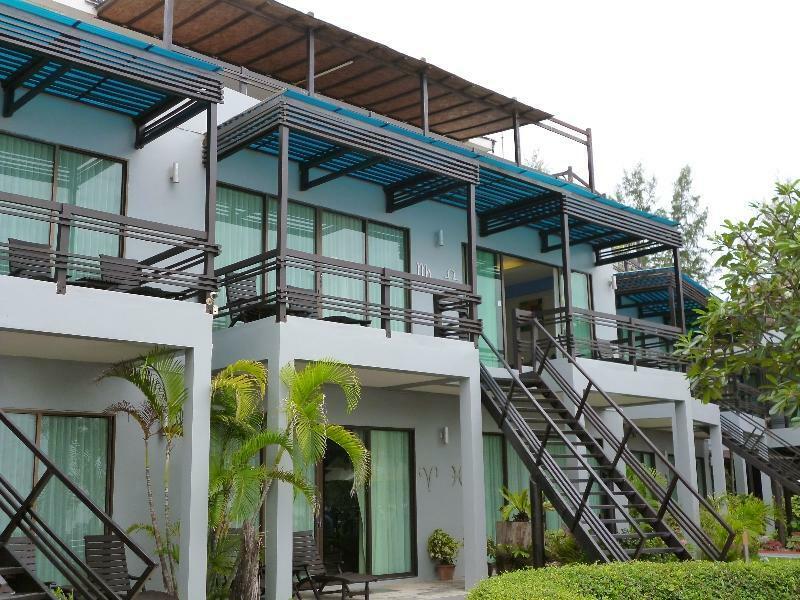 we stayed 4 nights at the maya koh lanta and loved it. we had a second story room which had a great view of the sunset. the breakfast was the usual fruit, breads, yogurt and egg selection you get. which is not to say that's bad, what more do you need! 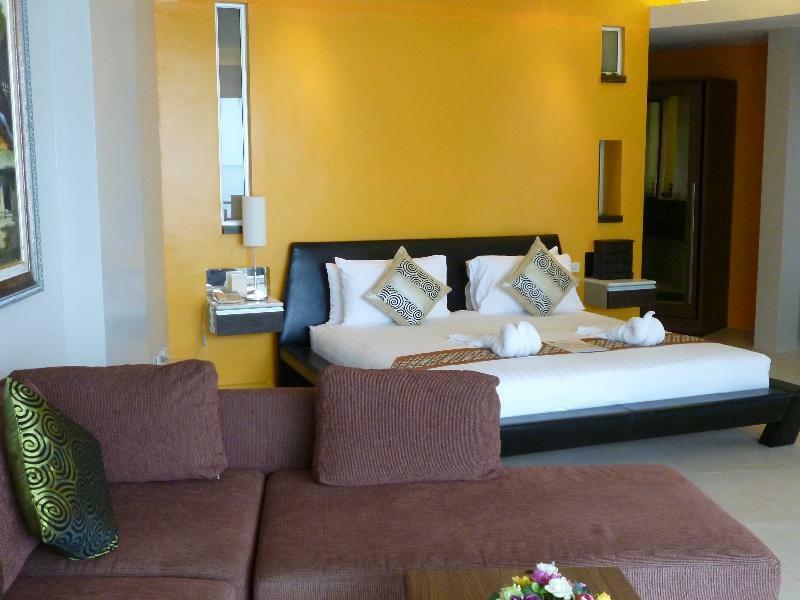 the rooms were spotless, the staff were fantastic they gave us great selection of restaurants to try in town. will definitely return. there is little need to venture away from the beach here. the beach is the main thoroughfare to a variety of restaurants and bars. have a good meal at night and then sit on the beach outside a bar and relax, lovely. not overcrowded which is a bonus. First time to a Thailand beach so I can't compare it with other resorts/islands. Great location right on the beach front. Very quiet area. There are beachfront bars not too far either side but they're not overcrowded or loud at night. The majority of other guests and visitors to the beach were Scandinavian, not sure if this is the same for the entire island. More families than I expected but it was the Christmas holidays. Some good restaurants within walking distance - The Kitchen and Time for Lime for Thai food, Koala bar for Western grub. Would stay there again. Would also recommend Oasis yoga for drop-in yoga classes in a very relaxing setting - great way to start the day. Room 10 is the best room in this place - it’s renovated and has an amazing, unobstructed view. We had a great time here. The rooms are massive, the free water and soda are nice, and the breakfast is much better than some of the other reviews say (yes, you have to season your own eggs like everywhere else in Thailand). The only problems: only one staff member, as far as I was aware in almost a week, speaks more than just a few words of English which made asking even simple questions about the hotel or the area very hard. The beach is fine except there are large rocks in front and the water is very shallow (better on Long Beach a bit south). Finally, the hot water only worked intermittently for us. Altogether, we had an amazing trip. Awesome location right on the beach. Breakfast was good. Staff was very friendly and helpful if you had any questions. The motorbike rental from the hotel was great as well. Would definitely stay there again! Having stayed here a few months ago we didn't hesitate to book again. Stayed here for 5 nights in standard room. Lovely room with views straight out to sea. Staff are lovely and helpful. The location is amazing we wouldn't hesitate to return again. Fabulous hotel right on the beach Large spacious rooms Very clean Good hotel staff very friendly and helpful Good breakfast 🍳 Nice and quite Good cleaning staff In fact the staff are extremely happy and helpful Be nice and polite to them with a friendly smile and treat them with the respect that they deserve They work very hard to please us tourists Speak a little Thai to them they really appreciate it, even if you may get it wrong Your in Thailand "SMILE"
Hotel is quite new, clean and on the best sandy beach we have seen anywhere. Less than 5 minute taxi ride from Saladan pier - but watch out for touts on the ferry selling shared van and private taxi transfers for very inflated prices. Hotel restaurant and bar are poolside, and good. Breakfast is included. Pool is lovely, but not enough loungers and guests tend to claim them with a towel in the morning and keep them all day even when not using them. Staff are lovely, very helpful and accommodating. There are massages on beachfront on each side of the pool/restaurant - we used the one immediately south of the restaurant and was wonderful. 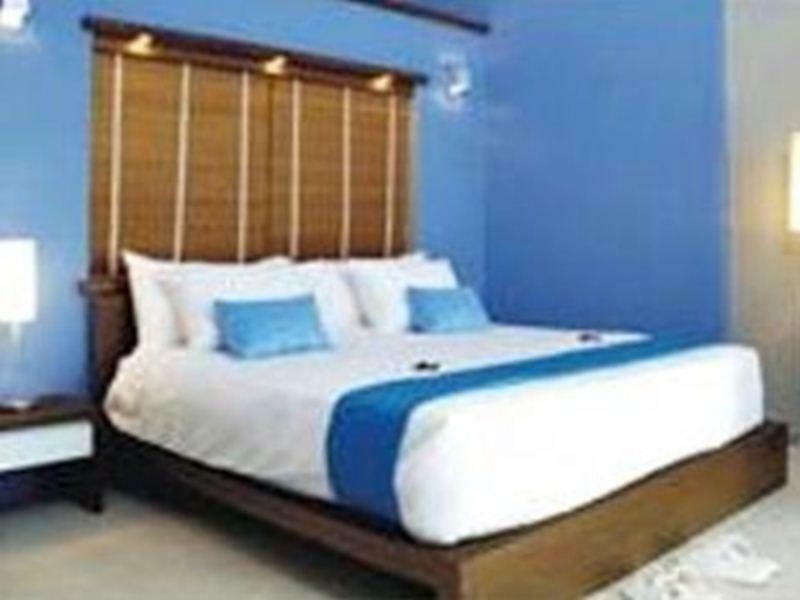 quite boutique hotel with excellent beach front. Wish that they would change their breakfast menu as the same menu everyday and for those staying more than 3 day, this can be pretty boring. Some fried rice or noodles would be much appreciated. Great big rooms, very clean. The pool is a little small so you can't really swim, more to just float around a bit when it's hot, but the view from it is great and as it's a small hotel, it's not a surprise anyway. 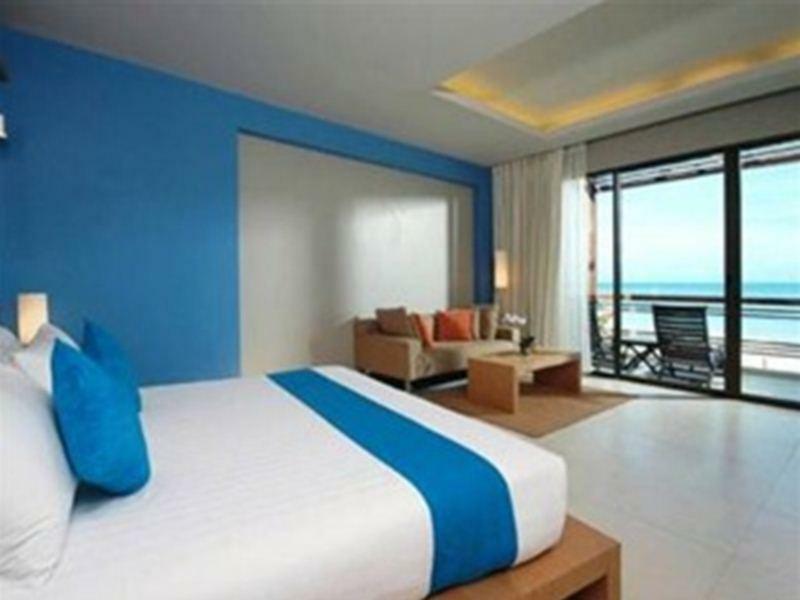 All rooms have a great view from the sea and your balcony is a few meters from the beach. Several restaurants and a 7/11 a minute away on the road and several beach bars/restaurants also close on the beach. Good staff as well, very polite and nice. Really no complaints, pictures of the hotel are very representative of what you'll get. Room was as expected ... nice and comfy. In some areas you can see the years but all in all everything all right. Bathroom nice and fully equipped. Scrambled eggs were delicious for breakfast. The beach could be cleaned up to reach the same standard as other resorts with direct access. 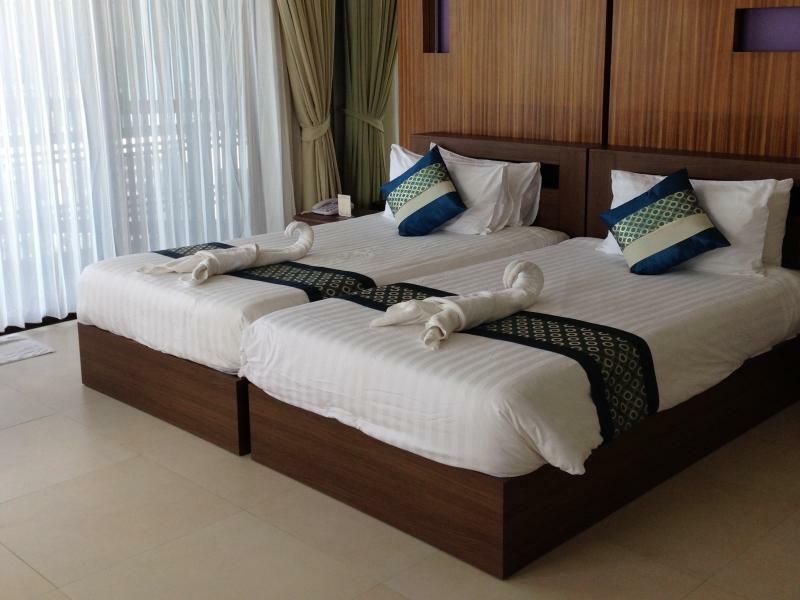 Location is perfect, located on the beach and near to the main road with a 7-Eleven just across the junction. Very convenient to buy groceries and quite a number of dinner places either on the main road, or just walk south along the beach. Room is big and spacious, even the toilet was big! Strong air-con, very comfortable bed. Pool was small and lounge area is not big and beach towels can run out too. But it was ok for us since we were out diving the whole day. Also a short scooter ride from Saladan town for some shopping and seafood dinner. Overall, a very nice cozy place, clean and new.